Continue this year by inspiring your children’s imagination and thoughts and unleashing their creative juices by making time for them to have creative fun. It may sound like this is just another chore to add on to your already long list of cooking, cleaning, bathing, laundering and drying tears, but there are so many benefits to creating and enjoying art. Children feel a sense of emotional satisfaction when they are creating art. The satisfaction comes from the control they have over the materials they use and the decisions they make. These decisions may be their first opportunity to make their own choices. Art builds self-esteem by giving children the opportunity to express what they are thinking and feeling. They can explore emotions and express intensity of feelings by using different colors, shades and tones. In addition, they are learning to take turns and share materials. Making art is an exploratory sensory activity. Through exploration of materials, children are building knowledge of objects from the world around them. They enjoy the feeling of crayons moving across paper and seeing a blob of paint grow larger. Cognitive development in children occurs when their senses are stimulated. The idea of messy play may be stressful to a parent but it’s very advantageous, because it stimulates so many senses at once. When children create art they are developing control of large and small muscle groups. Large arm movements required for painting and drawing at an easel, or on large paper on the floor, builds coordination and strength. Smaller movements of fingers, hands, and wrists required to cut with scissors, model clay, or draw and paint, develop fine motor dexterity and control. 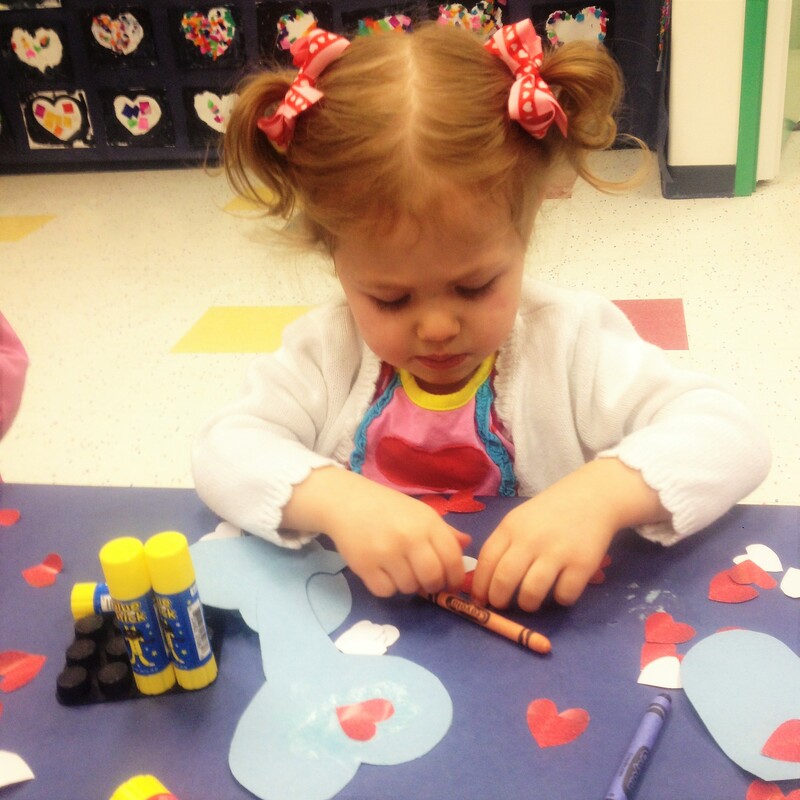 Young children gain confidence in their use of tools for making art, and later on, for writing. So, what’s the healthiest way to foster art with your children at home? First, let’s understand the difference between product-focused art and process-focused art. During product-focused art experiences, children have instructions to follow, a sample to copy, and there is a right and wrong way to proceed with a finished product in mind. Children may ask “Is this right?” or say, “Mine doesn’t look like yours!” Product focused art does not allow for creativity and can set a child up for disappointment if their final product does not look like a sample. During a process-focused art experience children’s art is unique and original. There are no step-by-step instructions, and no right or wrong way to explore and create. The art is focused on the experience and exploration of techniques, tools and materials. When children have the freedom of self-expression while participating in an art project, you will see them much more relaxed and focused. They can predict, plan, and problem solve as they create. Approach process-focused art as open-ended play, provide a variety of materials, and see what happens as your child leads the art experience. Provide them with plenty of time, play music in the background and provide them with beautifully illustrated children’s books such as Eric Carle and Lois Ehlert to stimulate their cognitive skills. So, in the spirit of “Inspire Your Heart with Art Day” on January 31st, gather together an array of materials, tools and recycled items and support the “process” with your child. Your child will be excited to share and discuss their art with you because nobody else has made anything like it.